Our Email Newsletter is an important tactic or Part of our marketing and sales strategy. It is vital driving force for growth and ensures in gaining maximum subscribers. It mentors more than 33000 audiences and whenever they are in need of our service they can simply click on reply or request a quote on our website. We can also segregate our list and run targeted email promotions with a few mouse clicks. It’s the most effective strategy to achieve and get a grip on sales and most importantly leads. • Ones based on auto responders (if you build a good auto responder sales funnel, you can get amazing results). • Another that includes a link to a sales page. What makes email marketing strategies so effective? With email campaigns people tend to subscribe or opt in and you can reach out to them. And people are heavily in favor of email marketing compared to other similar marketing strategies and would prefer 1000 new email subscribers than 10000 twitter followers. Email marketing can work for every business. It doesn’t matter whether you sell houses, lingerie, or consulting; you can get lots of sales if you use the right email marketing strategy in the right place. And you can promote practically anything relating to your business. Advertising budgets of thousands can be saved by implementing a profitable email campaign. Even if you’re not an expert, you can see great results. Email marketing is comparatively cheap. When laws change, they hardly ever change how you can do email marketing. Let us take a look at some of our email marketing strategies. In order to urge people to get something they really want, mails are about giving them a discount coupon for a product they’re interested in. A good offer doesn’t feel pushy. It doesn’t feel manipulative. So, when you promote something in an email, do it as a helpful friend. People buy when they feel that they have good reasons to do so. So, you need a strong value proposition. As long as you seem like a friend who’s trying to help them, people are likely to believe that you’re sincere and that buying from you is a good decision. That’s one of the main reasons email marketing can work so well. And relatively you do well as a well-wisher. SaaS (Software as a Service) businesses are another group that are typically heavy users of content emails. Yes it is as simple as creating a piece of content (e.g., a report, infographic, video, or article) and telling people about it with an email. But that also creates an information wall where most of the basic information is behind this wall. Now this information wall can be used like a pay wall. But instead of a monetary payment, it asks for information from the visitor. The simplest information wall is an email opt-in form that requires people to join the business owner’s list in order to get the content. And to make the most of this email marketing strategy, an opt-in form shouldn’t be the only information wall you use because once people have joined your list, asking them to do it again doesn’t make much sense. You can ask people to share a link to the content in social media before getting access to it. Or you can ask for more information about them (e.g., specific interests or their company’s size). The additional information gives you a better chance to tailor your email marketing to match what they’re most interested in. And that gives you a better chance to convert them into customers. 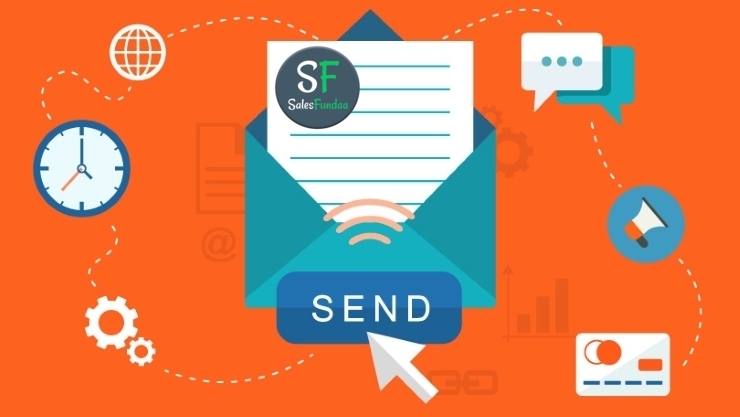 For many businesses, improving relationships with their leads is the primary reason for sending any emails. Opinions about your expertise should be shared in order to build relations with your clients. It helps to gain their confidence. The most important thing is to remember relationship building as a part of your email marketing strategy. People buy from people they like and trust. And that means building a relationship with them. You can do a little bit of it in every email you send.